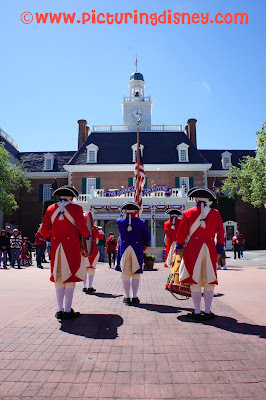 I didn't even know this awesome fife and drum show existed until we stumbled upon them! This was really fun to watch and very patriotic! Have you seen the show? Sadly I haven't even seen the American Adventure show but plan to check it out on my next trip!